The species Megaloxantha bicolor is found from India to South East Asia and Australia. 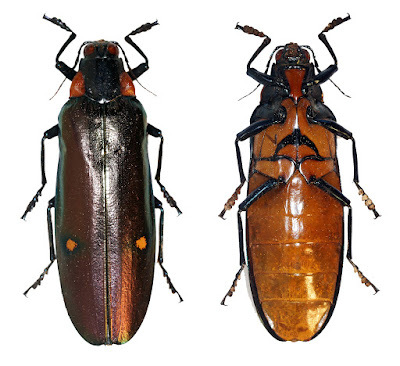 They are large size buprestid beetle. There are 13 subspecies of the species have been recorded. In Vietnam the subspecies Megaloxantha bicolor porphyreus Hou & Wu, 1996 was found from Bao Lam, Bao Loc, Lam Dong Province.